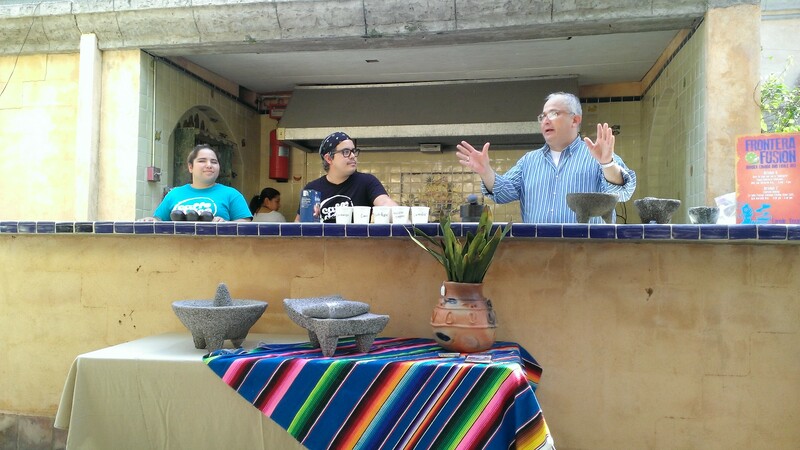 The THC’s Heritage Tourism Program successfully launched its first heritage tourism workshops in Laredo and Rio Grande City in late August of 2014. The workshops brought together cultural leaders, business owners, city officials, and other interested residents during independent workshops held in each city to identify and develop untapped heritage tourism resources and experiences. In particular, the workshop focused on the exploration and development of heritage tourism experiences that showcase participating communities' vibrant Hispanic heritage. Prior to the start of the workshops, a thorough assessment of heritage tourism resources in both cities was conducted. The assessment familiarized residents with their city’s potential attractions and inspired creative new visions for heritage tourism development. Groups worked over a five month period to conceive, refine and launch the new tourism offerings. The workshop series concluded with roll-out events held in both cities, during which local development teams invited Laredo and Rio Grande City residents as well as participants from communities statewide to sample the new heritage tourism experiences and to gain a behind the scenes view into the product development process. In this way, local residents and statewide participants received both the inspiration and the nuts and bolts insights necessary for the creatio n of their own heritage tourism products. As such, the THC’s heritage tourism workshop series represents a significant attempt to develop a critical mass of heritage tourism experiences that focus on shared cultural themes. During the workshops held in Laredo, cultural leaders, city officials, business owners, and artists collaborated to produce four experiences that showcase varying aspects of the community’s rich Hispanic cultural heritage. In an innovative attempt to reinvigorate community interest in Laredo’s downtown historic assets, downtown building owners, business owners, and administrators of public facilities collaborated to create CaminArte, an art walk connecting a series of exhibits featuring local, regional, and international art works housed in venues spread throughout Laredo’s downtown. A printed map indicating the exhibit locations guided visitors to the various installations while also highlighting Laredo’s historic buildings and other points of interest. In a project aptly named Frontera Fusion, local businesses collaborated with Laredo’s culinary talent to produce border cooking classes in two distinctive venues. The first—Vega’s Interiores Mejicanos—imports high quality, Mexican Hacienda, Spanish Colonial, and Forged Iron patio style furniture and a wide variety of similarly themed home décor accessories, and is located on Avenida San Bernardo, Laredo’s famous avenue of shops offering handcrafted imports from Mexico. 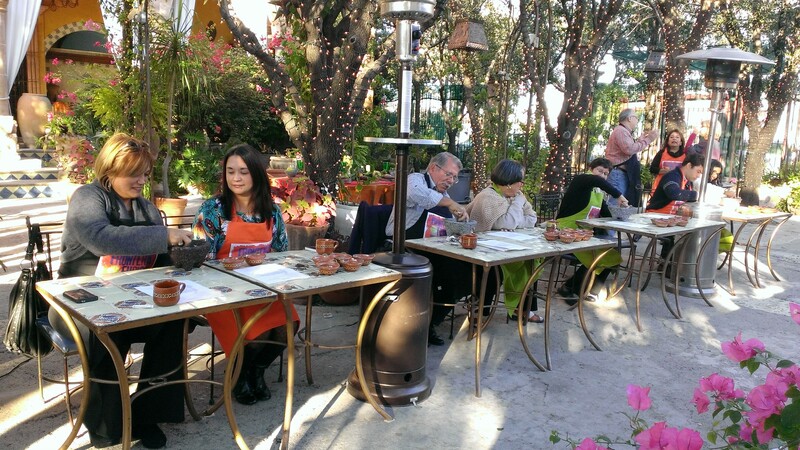 Vega’s hosted Frontera Fusion courses in a well-appointed courtyard that links the two major wings of their showroom. Two chefs—then employed by Laredo favorite, Café Dulce—led the course, demonstrating preparation of salsa, guacamole, and spice mixes using cooking tools and techniques developed over generations along the Texas and Mexico border. The second location—La India Packing Company—is a multi-generational Laredo-based spice company, whose headquarters and popular Tasting Room Café are located in the owner’s former family home. Course participants are hosted in La India’s kitchen—where historic photos and framed news articles illustrate the local legacy of the Rodriguez family—as participants learn how to prepare border foods directly from owner Elsa Rodriguez using La India’s nationally famous ingredients. Part walking tour, part theatrical performance, Teatro de la Calle guides tour participants to notable historic sites in Laredo’s downtown and presents a retelling of Laredo history through choreographed and fully costumed performances. Actors represent a range of ages and backgrounds, but all are Laredo residents well versed in Laredo history. In this way, the project aims to serve both visitors and Laredo citizens, promoting and preserving the community’s rich history. For visitors and residents both, the striking contrast between the actors’ period dress, usage and affect, and the bustling environment of Laredo’s contemporary downtown, presents an imaginative introduction to Laredo’s storied past and a celebratory experience of its vibrant present. Developed as a complement to the CamineArte art walk—and organized by the Laredo Main Street Program—the Streets of Laredo Artisan Bazaar showcases local artistic talent in an outdoor market spanning Laredo’s historic San Agustín Plaza. The artisan bazaar also features an array of local foods, musical performances held in the San Agustin Plaza’s historic bandstand, and a festive atmosphere of papel picado flutters and the lasting echoes of distant grito calls. The workshop series held in Rio Grande City produced a range of heritage tourism experiences featuring the area’s rural lifeways. Through the heritage tourism workshop process, the City of Rio Grande City leadership and tourism office, local residents, and business owners produced a tourism offerig that introduces visitors to the many uses of south Texas native plants. A local ethnobotanist and owner of Rancho Lomitas—a private wildlife preserve and education center—designed the hour long event available at the city owned Tijerina Courtyard, to complement the more extensive tour offerings at Rancho Lomitas. Resident historians developed a presentation of the history of Rio Grande City’s architecture, focusing on the community’s many courtyards and their use for the region’s historically agrarian economy. The presentation provides visitors a practical consideration of the courtyards’ construction and design, deepening visitors’ appreciation for the ingenuity of the region’s early settlers. 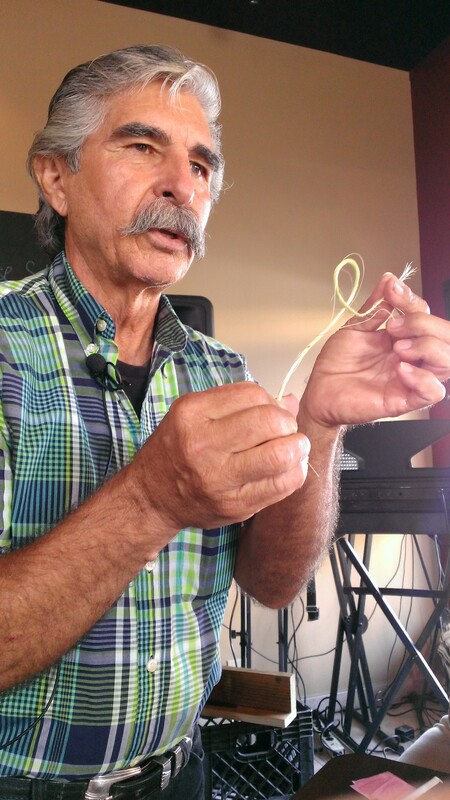 In keeping with Rio Grande City residents’ pride in local ranching culture, workshop participants also developed a roping class, which introduces visitors to the history, use and proper techniques of livestock roping. This hands-on experience allows visitors an immersive understanding of ranching tools, the role of the vaquero in the region’s pastoral economy, and provides a deeper connection with the ranching heritage of this border community. While the above heritage tourism experiences focus on many of the practical elements of border heritage, Rio Grande City workshop participants did not fail to deliver on fun! Residents from both Rio Grande City and Ciudad Camargo—a community located across the border from Rio Grande City—collaborated to develop a border dance class series. The dance class provides instruction for the novice and advanced practitioners, combining classical Spanish dance styles with regional influences. Workshop participants also created cooking classes that introduce visitors to the region’s culinary practices. Using masa, dried chili peppers, a variety of spices and herbs, and fresh meats and vegetables, the cooking classes’ aromas and flavors express the vibrant and creative Hispanic cultures that thrive in this border community today. View the gallery below for more images of the heritage tourism development workshops held in Laredo and Rio Grande City, and their outstanding new tourism offerings. Rest your mouse icon on gallery images to see image captions.